This ultimate keepsake doubles as a soft and cuddly blanket. 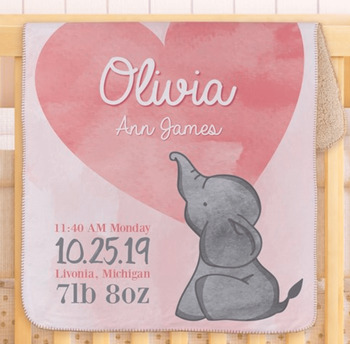 What makes this gift extra-special is the detailed personalization that specifies the child's birth information. The thoughtful nature behind this gift will be remembered for many years to come.